The Seminar is part of the research work of Ezbet project. The aim of the seminar is to develop social and physical interventions based on the needs assessment of these areas’ community and based on research study and analysis.The seminar includes theoretical sessions to the topics related to Participatory planning, informal settlement in Egypt, strategic planning, top-down & bottom-up policies and planning approaches. – The community needs based on priorities and categories. – The tools of effective participatory involvement in the process. The Workshop is an opportunity for all students from different disciplines to work on actual data of a real running development project as well as to learn more about bottom up approaches in developing countries. Also, they will gain insights into the logic and concepts of other disciplines, which is a very important skill for dealing with real life problems. Expected Outputs: Define community needs for development and for the different interventions as well as design physical and/or social interventions. 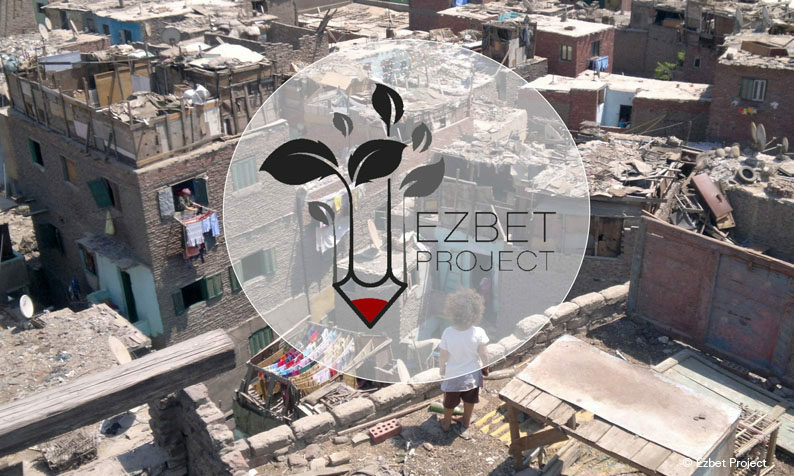 The EZBET Project is an academic project initiated as a joint collaboration between national and international academic institutions (University of Stuttgart – Germany & Ain Shams University – Egypt). The DAAD-funded Ezbet project devotes to the revaluation process in the informal settlements’ development. The project works on two tracks for sustainable development: the social as well as physical development programmes. During educational workshops, information about the habits and the needs of the community are gathered through participatory observation and on-site interviews. Additionally, social and land survey data are collected. This qualitative and quantitative information will form the database for the seminar. Case Study area is Geziert El-Dahab. Geziret el Dahab is an island located in the middle of the running Nile of Egypt with magnificent Overview to the blue water surface.